The strategic agreement Frelii has entered into includes NewPath Health Care Solutions, Mercator Biologic and True DNA Story. 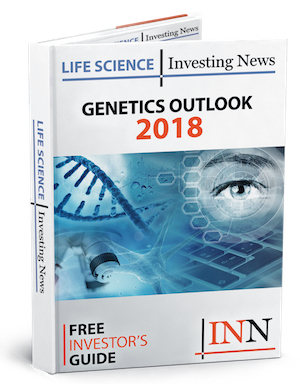 In after-hours trading on Wednesday (March 20), Frelii (OTCQB:FRLI) revealed that it has entered into a memorandum of understanding (MOU) with multiple organizations for the purpose of exploring and enhancing the science of genetics, among other things. Frelii is a medical technology company primarily focused on the use of gene sequencing and artificial intelligence (AI) to determine risk and lifestyle changes. Its technology, called Navii, allows for advancements in diagnostics, healthcare, pharmacology, telehealth, insurance and personal health and wellness. Ian Jenkins, CEO of Frelli, said in the release that the companies involved in the collaboration each have developed a variety of technologies, methods, processes and solutions that offer game-changing collaborations and innovations. He added that his company will offer its AI-based technology and be able to reap the benefits of the other three companies’ technologies and expertise. “By working together, we will collectively continue to outpace competitors and more rapidly advance the science and real-world practicality of leveraging genetic data for the good of humanity,” Jenkins said. All four companies have also agreed to potentially partake in a pilot research initiative that will allow each organization to validate their technologies and “provide a means to significantly advance each other’s commercial capabilities.” Should this take place, the pilot will be finalized via a statement of work that will detail each phase of the initiative in addition to the roles each company will play. That being said, no timeline has been provided as to when the official partnership will begin. On Tuesday (March 19), the World Health Organization (WHO) indicated that its advisory committee is working to develop “global standards for governance and oversight” when it comes to human genome editing. The organization said its committee has agreed to “work towards” developing a solid framework in this area. “Gene editing holds incredible promise for health, but it also poses some risks, both ethically and medically,” Dr. Tedros Adhanom Ghebreyesus, director-general of WHO, said in the organization’s statement. “The committee will develop essential tools and guidance for all those working on this new technology to ensure maximum benefit and minimal risk to human health,” Dr. Soumya Swamanathan, chief scientist at WHO, said in the statement.